We’ve spent the last couple of weeks in Canada where we can’t use our mobile internet hotspot. Therefore, we must get online in places like McDonalds and Tim Hortons. 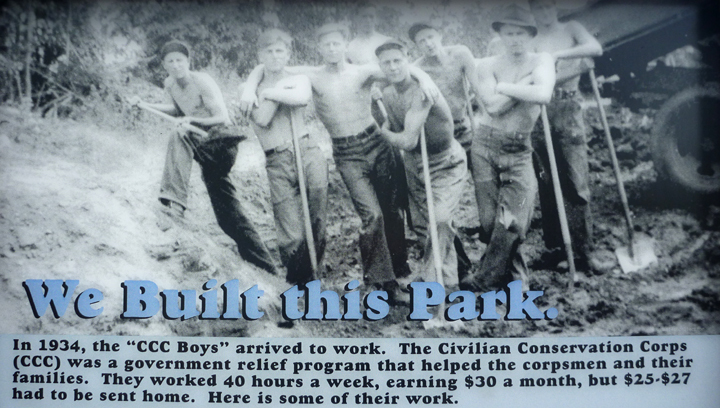 Since I don’t consider these suitable environments to spend time working on my blog, I am behind on my posts. We crossed back over into the States yesterday, so I’m back on it. 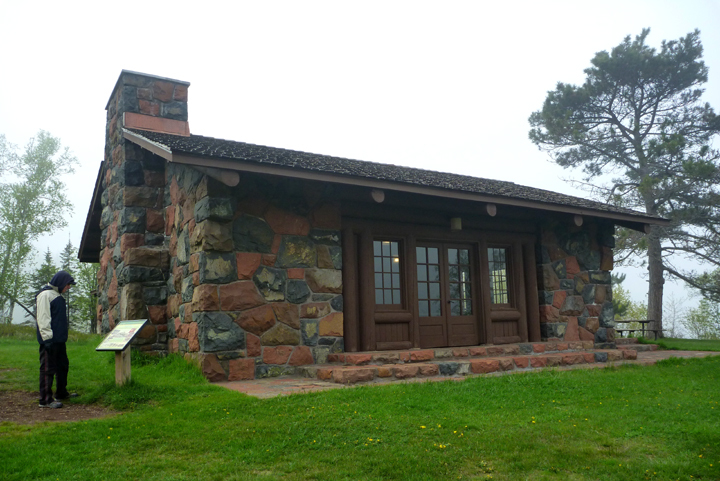 Once we left Theodore Roosevelt National Park (previous post), we didn’t find much else to stop for in North Dakota, so it was pretty much an all-day dash across the state. Seems that the locals might also be bored, since they have erected all sorts of huge, sometimes strange, sculptures. We saw the “World’s Largest” Holstein Cow, Buffalo, and Blue Heron (photo below). As far as I can tell, this is pretty much what the entire state of North Dakota looks like. 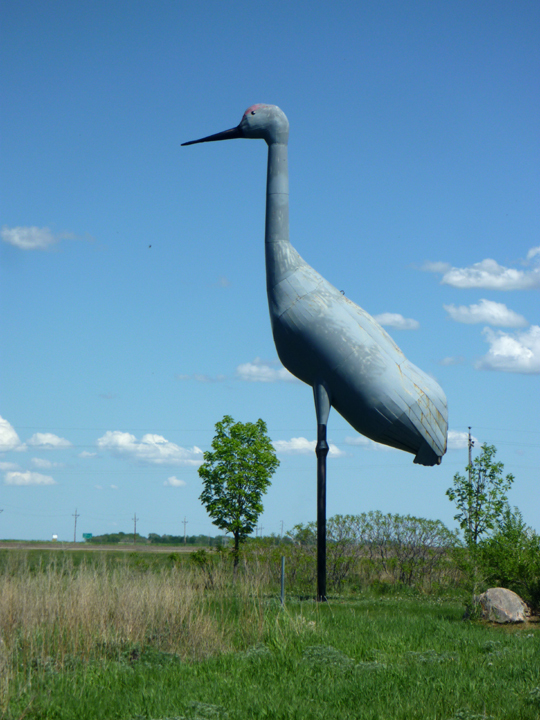 This huge metal blue heron was erected to heighten awareness of birding opportunities in the area. 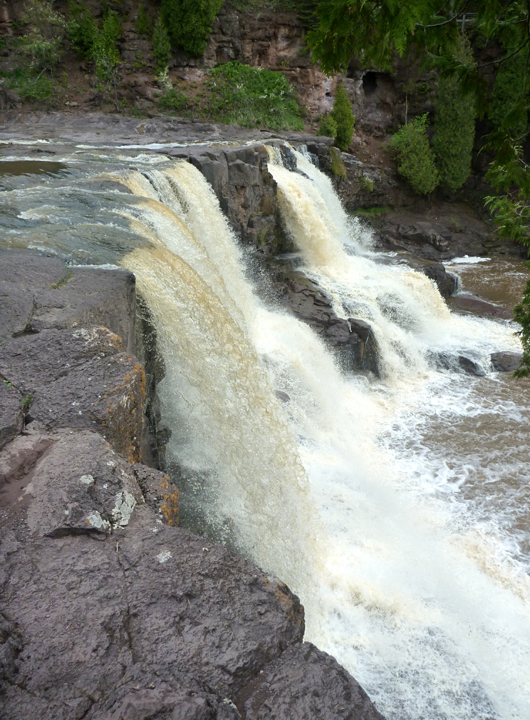 We crossed over into Minnesota just east of Fargo and camped at Buffalo River State Park. 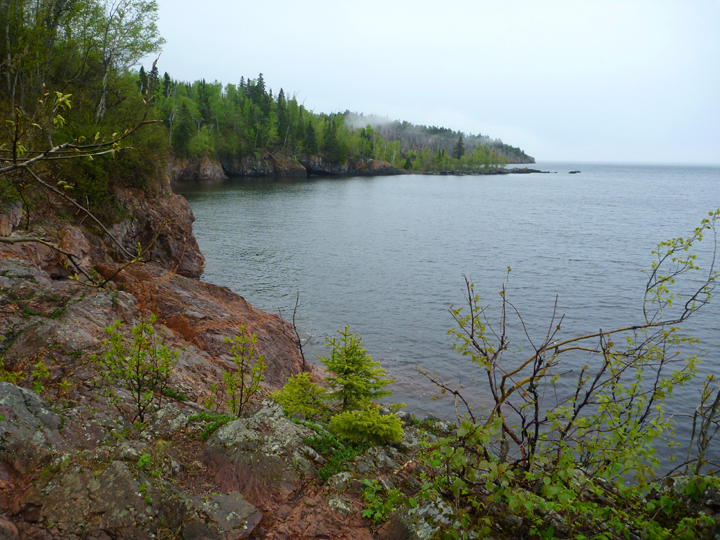 From there we headed for the North Shore of Lake Superior where we were greeted by fog and rain that stayed with us for nearly a week. 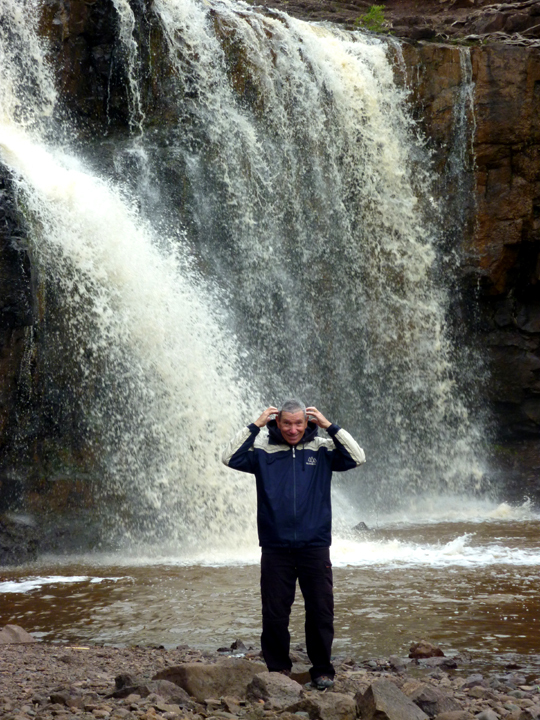 Not the best weather for sightseeing or photography. 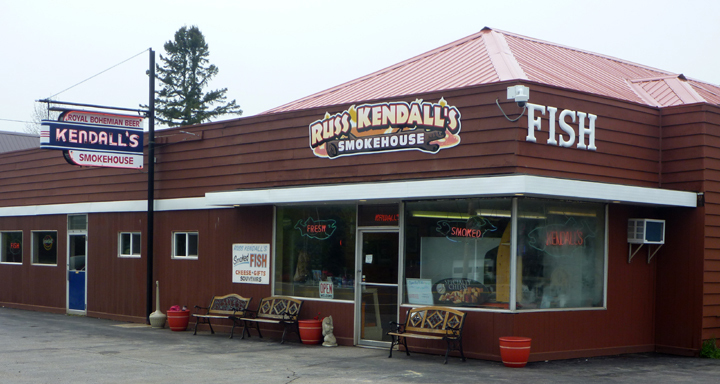 In Knife River, Minnesota we stopped at Russ Kendall’s Smoke House and purchased a huge Lake Trout filet. 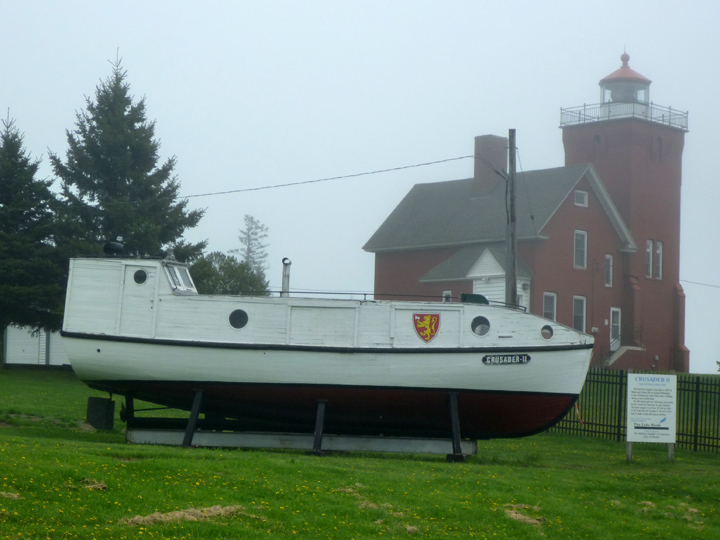 a lighthouse and this interesting watercraft the sign told us almost nothing about. 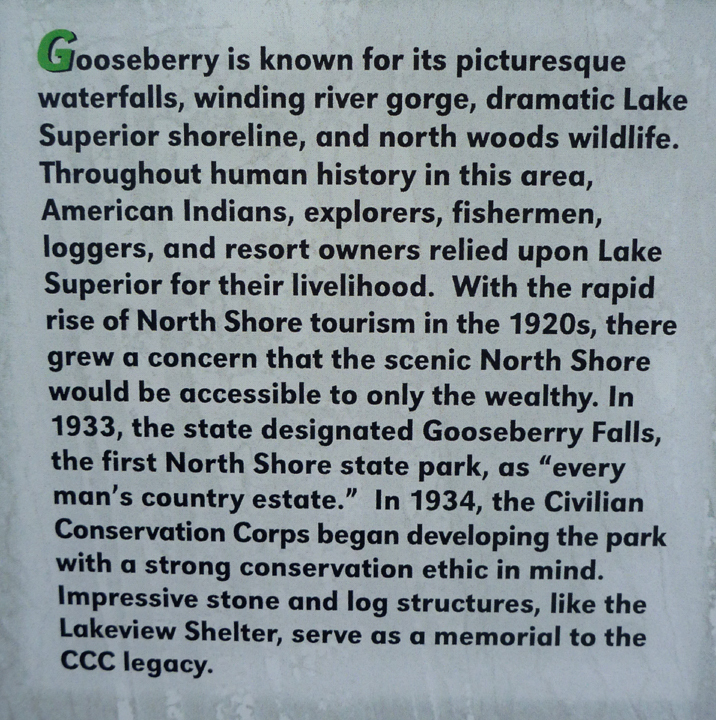 Gooseberry Falls State Park has several preserved log and stone structures built by the Civilian Conservation Corps in the 1930s. 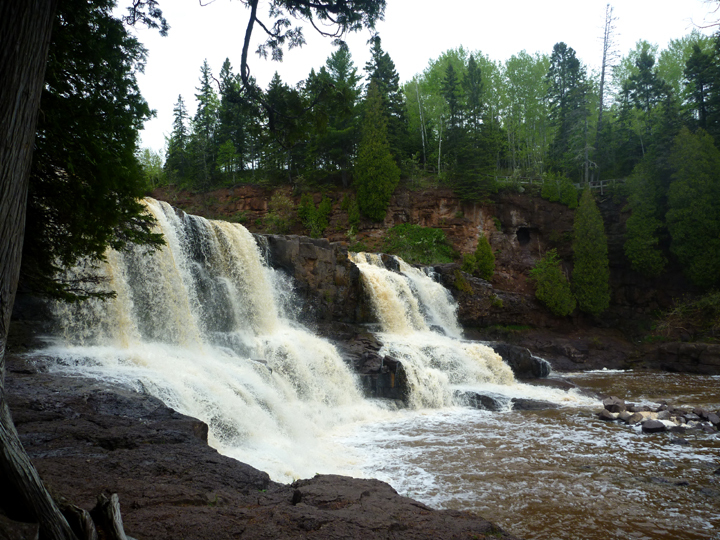 The park also has, as the name implies, Gooseberry Falls. 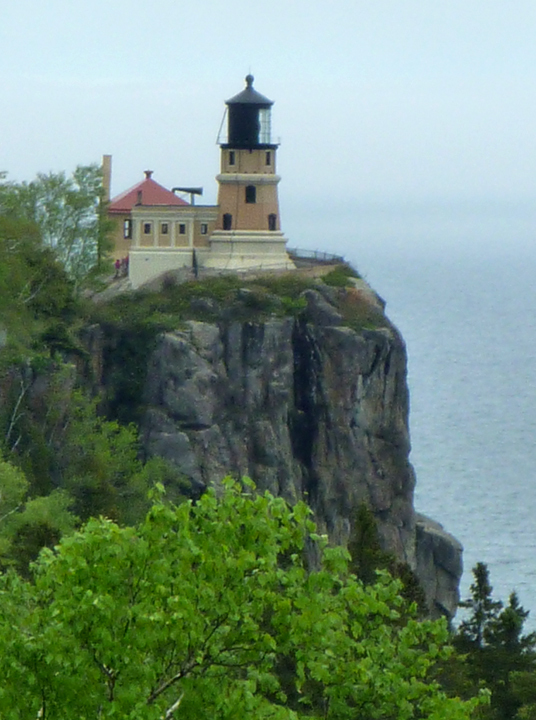 Further up the coast we viewed Split Rock Lighthouse. 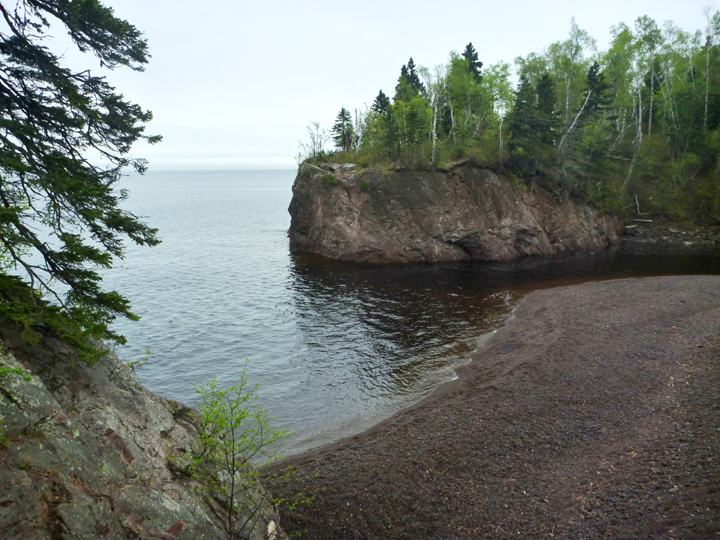 And took several brief hikes to stretch our legs. 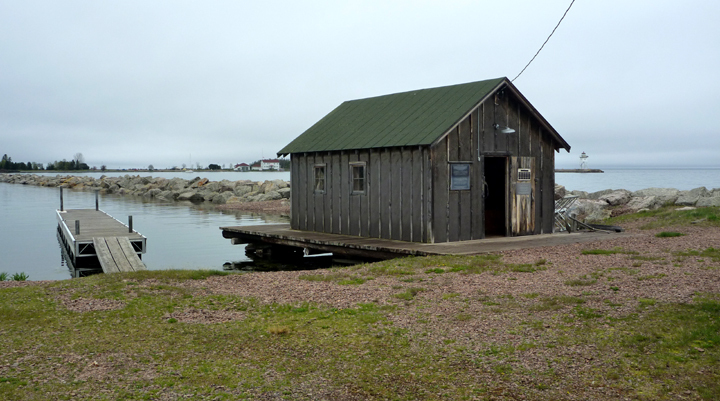 Historic fish shack near campground in Grand Marais. 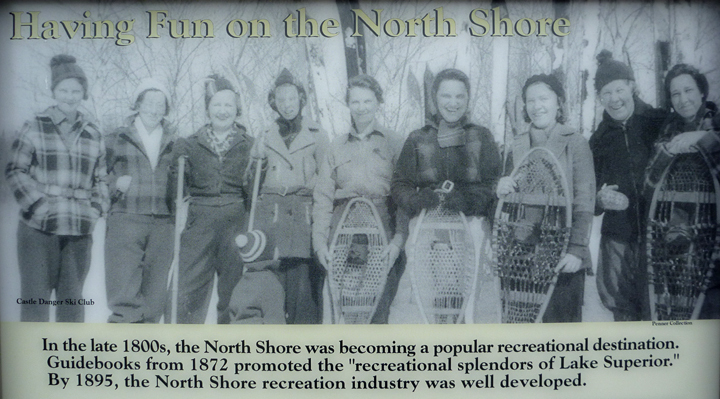 Some of our favorite haunts on the North Shore. We’ve been more than once in autumn had either beautiful or freezing cold weather, but we love it. 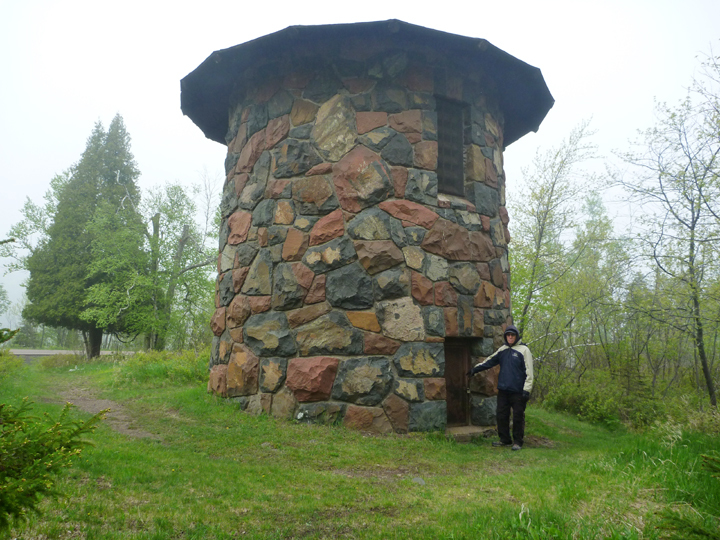 Tettagouache has some hike in cabins we discovered by accident. Two nights in a row treated to spectacular Northern Lights. Can’t believe you are going home. You know blogs will have to continue on the readjustment process. Looking forward to more blogs. Currently looking for a new travel trailer, looking at a Lance 2285, know we want to do more traveling. Keep ‘me coming. You’re our heroes! Hard to believe you will soon be home! 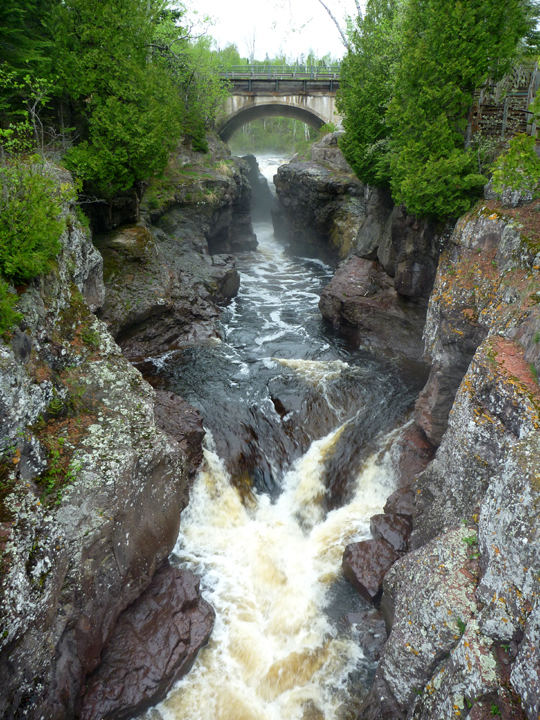 Hope you find everything OK. Love Gooseberry Falls & the river. Yes- North Dakota is pretty sleepy – & Fargo in the winter time is too cold as my sister can attest to having lived there in her 20’s. 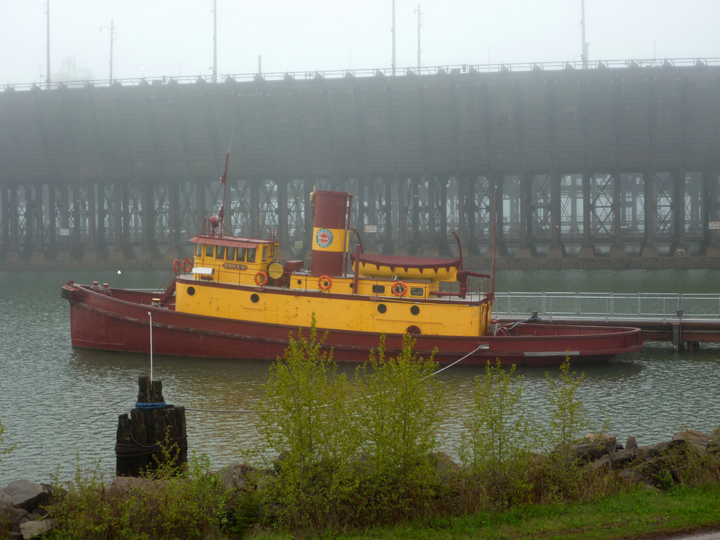 She has since lived in MN – land of 10,000 lakes (& mosquitoes!). 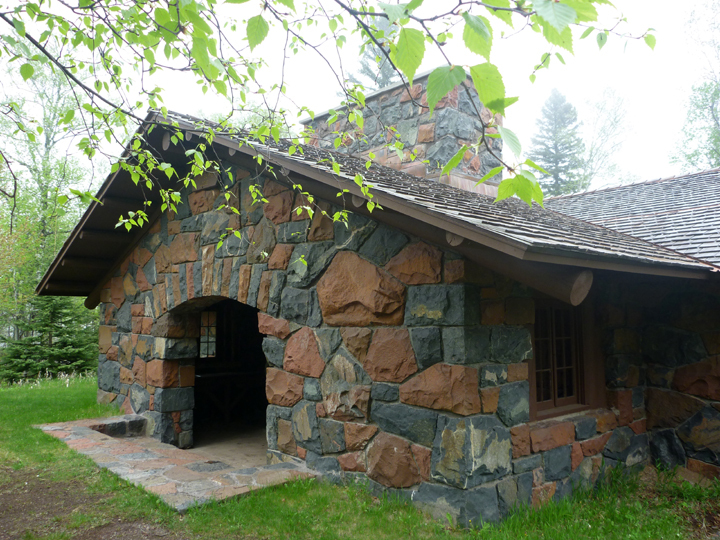 So – back in the 70s when my dad was alive and very involved with birding, he took me with him to an annual meeting of the American Ornithologists Union in Grand Forks ND. Turns out there’s a TON of bird species there, hidden away in all that flat undulating landscape, with hidden salt water ponds and lakes! I remember seeing sandhill cranes, shoveler ducks, and pelicans for the first time in ND. Very cool.